Fall is definitely all about harvest around here. I love the pumpkins and the apples. As a teacher, it has always been a great time of year for classroom activities. There are so many things to do with pumpkins, apples, and things related to Thanksgiving. I like to do as many activities with W as I can so we recently made a Thanksgiving Snack Mix to go along with some of our favorite pumpkin and Thanksgiving books. Bugles to represent the cornucopia, a symbol of abundance during the season. Candy corn to represent the sacrifices of the first winter. There was very little food and the settlers survived on just a few kernels of corn a day. Nuts to represent the nuts and seeds that were saved to plant in the spring and the promise of a future harvest. Dried fruits to represent the harvest that was dried for the next winter. M&Ms for the memories of those who came before us. And a Hershey’s Kiss to represent the love of family and friends that sweetens our lives. This is a great recipe for kids to make to contribute to the Thanksgiving dinner festivities. It also makes a great classroom activity or gift for classmates if your child has a harvest celebration at school. We always had a class lunch to celebrate the week before Thanksgiving break. 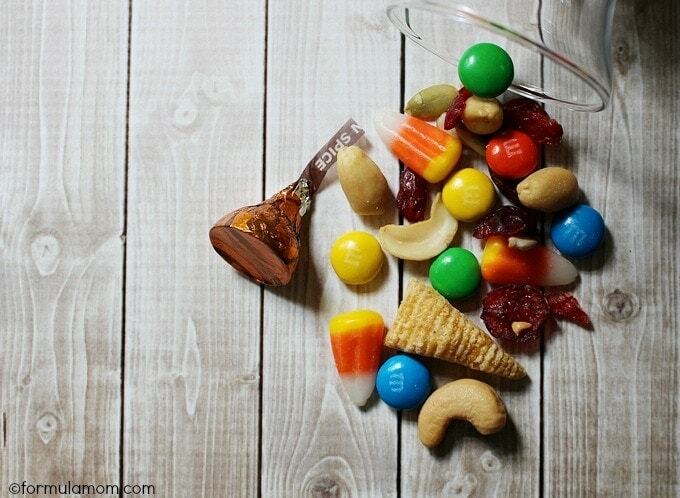 What would you include in a Thanksgiving snack mix? 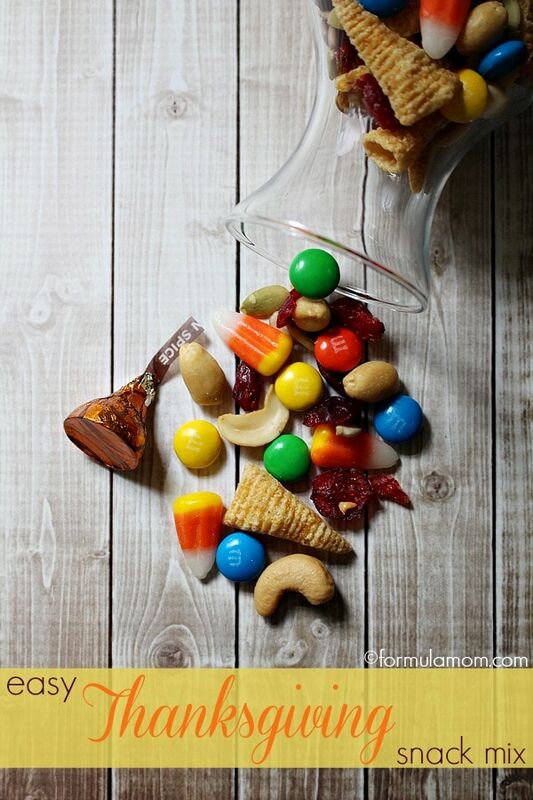 This looks like a good snack mix. I love nuts and fruits and the candies make it even better. I think I will make some up for thee kids to take to their teachers for a special treat. Here we can’t take home made snack to the class but we can for the teachers. I would put chocolate chips, pistachios,dried fruit and cashews! This looks like a great snack for me i am diabetic and this will help when my sugar drops or keep it from dropping. Good ideal. I think is perfect! looks like a great snack! Love this snack mix. Found you at Classy Flamingos Blog Party.